Signing on the dotted line and buying your first home is bound to be one of the most exciting days of your life. Unfortunately, getting to this point can be a roller coaster. From the ecstasy of finding the perfect property to the agony of a deal falling through, the process of buying a home is often not without its moments. Are you saving for a deposit? Are you ready and raring to go with your search? If so, these foolproof tips will help you to navigate the stormy seas of negotiating a deal. Before you even think about looking at any properties, sit down and sort out your finances. Work out how much money you have available for a deposit and shop around for mortgage deals. If you know nothing about mortgages, and you can’t tell your unsecured loans from your homeowner secured loans, it’s wise to seek advice. When you go for a consultation, your mortgage adviser will take your monthly earnings and your deposit into account. They will explain how much you could borrow over a set term and explain the differences between the different types of mortgage. Once you have the relevant information, you will then have a maximum budget in mind for your search. If you wish to go ahead with a mortgage application, make use of your adviser’s expertise. Once you have a mortgage offer in place, you can start your property search. Try to stick to a set budget and avoid looking at anything, which is unaffordable. Narrow down your search criteria based on location and any other priorities. If you like the look of a property, arrange a viewing. It’s a good idea to be open-minded when buying your first home. You may think that you’re certain that you want a specific style, but you may change your mind. Look for properties with potential if you’re looking to add value. If you’re creative or you have skills, such as carpentry or interior design, don’t be afraid to look for a project. Arrange some viewings and draw up a shortlist. Take a notepad and a camera. Compare the contenders and use your common sense, as well as your instinct. Most people get a feeling as soon as they set foot in a house. It may be that you fall head over heels in love with the first flat you see. If this isn’t the case, don’t panic. Buying a house is something that should never be rushed. If you get to the stage where you love a property so much that you want to make an offer, think wisely about the offer price. If the house has been on the market for a long time or the vendor is eager to sell quickly, there is probably room for negotiation. If the property is new to the market and it’s in a sought-after area with viewings already booked, you may need to go straight in with an asking price offer. If you do make an offer, ask the agent to cancel all other viewings if your offer is accepted. 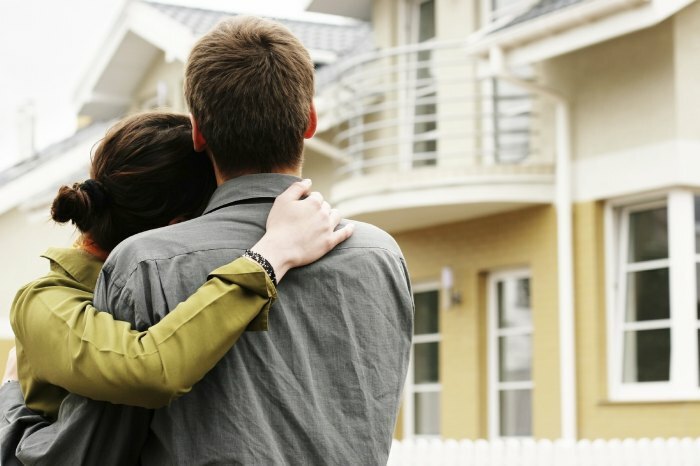 Buying your first home is exhilarating, but it can also be frustrating and disappointing. Seek professional advice, enjoy the search and don’t give up. Your dream home could be just around the corner.